The Chinese-led Asian Infrastructure Investment Bank (AIIB) was formally established on Friday and will be operational by early next year. The Chinese-led Asian Infrastructure Investment Bank (AIIB) was formally established on Friday, and is expected to be operational by early next year, local media reported Friday. "The AIIB is legally established as the Articles of Agreement take effect today," Chinese Finance Minister Lou Jiwei was quoted by the Xinhua news agency as saying. The bank will become fully operational after its board of directors and executive council meet at an opening ceremony scheduled for January 16-18, Xinhua has quoted the minister as saying in a report that was also covered by Sputnik news. 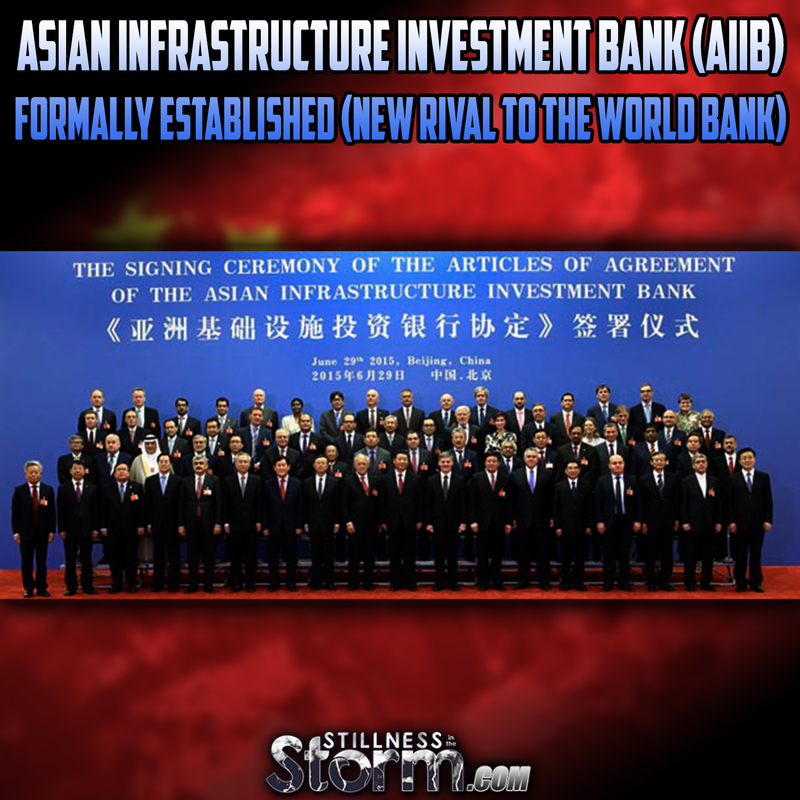 The AIIB is a China-proposed international financial institution created to invest in infrastructure projects in the Asia-Pacific region. In October 2014, the Articles of Agreement establishing the bank were signed by 21 states. By mid-year, the agreement had been signed by 50 founding members in the financial organization. So far, 17 members have ratified the agreement. Authorities have said that the bank aims to provide financial facilities for a chain of development projects including the construction of dams, ports, power plants and telecommunications networks across Asia. The AIIB will be headquartered in Beijing and its lean structure will be overseen by an unpaid, non-resident board of directors which, architects say, would save it money and friction in decision-making. Seventy-five percent of AIIB’s shares are distributed within the Asian region while the rest is assigned among countries beyond it. The AIIB – which is seen as an emerging rival to powerful Western-led financial institutions such as the World Bank, the Asian Development Bank and the International Monetary Fund – is feared by the White House to be a new Chinese policy to increase the influence of the world’s second largest economy at regional and international levels.